07:48 – What about Mr. Chapman? 16:54 – Why a Traditional Publisher? 29:31 – Does a Web Presence Matter? 34:34 – How Much Does an Author Make? The podcast is live! Click through to have a listen. We had the most wonderful time talking with you, Caroline! I’m just so glad we connected! 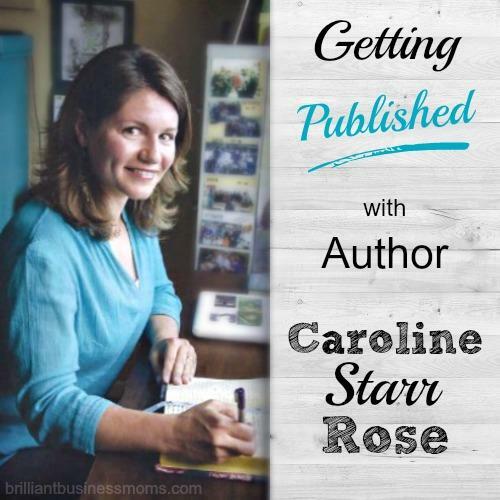 Anyone who listens to your episode will feel so much more equipped to write their own book, stick with it, hone their craft, and ultimately, become a published author. Thank you again for chatting with us! It was wonderful to hear your story and your advice! Thank you, Beth Anne! It was my pleasure. So glad our paths crossed. Let’s be sure to keep in touch.